July 7, 2017, 3:33 p.m.
President Nana Addo Dankwa Akufo-Addo, has reiterated the commitment of his government to the exploration and discovery of oil in commercial quantities onshore, specifically in the Voltaian Basin. According to President Akufo-Addo, 17 years ago, during the presidential campaign of then candidate John Agyekum Kufuor, he gave a solemn pledge to the people of Takoradi, in the Western Region, that, if elected, his government will concentrate attention to discovering oil in commercial quantities. “I believe God will be on our side once again under another NPP administration to strike more oil and gas. President J A Kufuor made it happen off shore. The focus now is also to explore opportunities on shore. That is why my government is committed to intensifying efforts towards the discovery of oil and gas on shore in the Voltaian Basin,” he said. President stated that the commitment of the national oil company, Ghana National Petroleum Corporation (GNPC), to find oil and gas in the Voltaian Basin, is reassuring, and was delighted about this bold step. “My government is totally committed to giving Dr K K Sarpong and his team all the support they need to make this happen. I have been briefed that all the necessary preparatory work has been done to commence initial seismic survey. 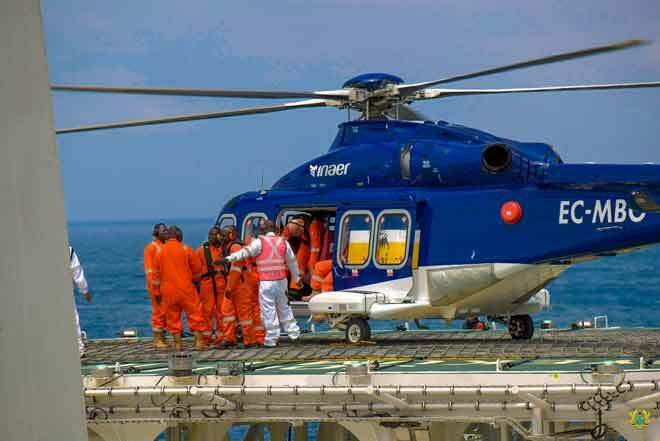 Approval for the award of the contract for the seismic survey will be given soon,” he said. 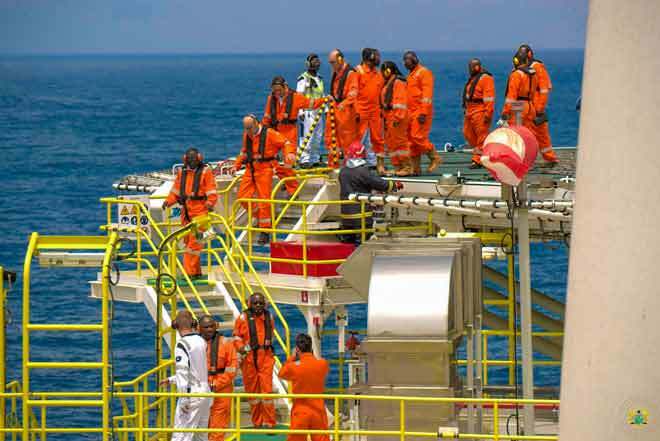 President Akufo-Addo made this known on Thursday after turning on the valves on the FPSO John Agyekum Kufuor to signal the formal production of oil in commercial quantities from the Sankofa oil and gas fields. With the oil industry increasingly becoming an important contributor to the country’s economy, President Akufo-Addo indicated that the efficient management of petroleum resources and its associated revenues is a national priority. By judiciously managing the country’s petroleum resource, he assured that government will ensure the welfare of its people, promote employment, improve the environment, and strengthen trade and industrial development in the country. In accordance with the NPP’s 2016 Manifesto, President Akufo-Addo stressed that his government will ensure that the petroleum sector remains a significant contributor to financing nationwide industrial development, and thus generating resources that can be used for rapid development of national infrastructure, increasing agricultural productivity, accelerating job creation and for enabling a paradigm shift in the structure of the economy towards increased industrial value-added production. Additionally, government, he stated, is laying the basis for continued development of the petroleum sector, by ensuring that our petroleum industry remains an attractive area for investment; and promoting linkages of the petroleum sector with other sectors of the economy, and avoiding the curse of the sector remaining an enclave. Improving transparency in the management of the country’s oil and gas resources and strengthening the Public Interest Accountability Committee (PIAC) to enhance further transparency and accountability in the oil and gas sector, he added, is of the utmost importance to his government.